Illicit trafficking of diamonds from the Central African Republic (CAR) into neighbouring Cameroon continues to partially finance an almost three-year conflict, a report published Friday shows. According to Partnership Africa Canada, Cameroon’s poor controls, smuggling and corruption, explain the country’s failure to implement the Kimberley Process — an international diamond certification scheme meant to stop the trade of conflict diamonds. 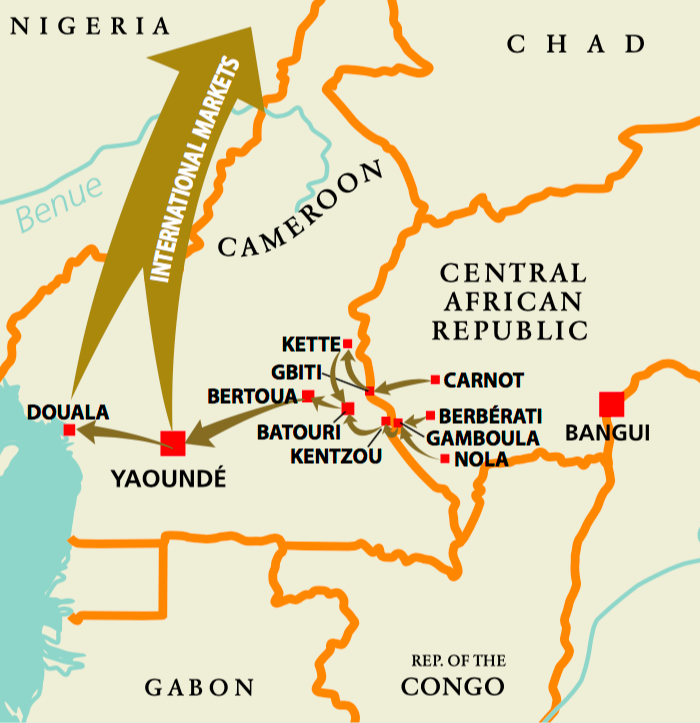 Cameroon is allowing conflict diamonds from the Central African Republic to cross over its borders and into the legal supply chain due to poor controls, smuggling and corruption. Unrest in CAR dates back to early 2013 when mostly Muslim Seleka rebels seized power, triggering retaliations by "anti-balaka" Christian militias who drove tens of thousands of Muslims from the south in a de facto partition of the country. As a result, the Kimberley Process banned in May that year the export of diamonds from the landlocked country. Such prohibition was partially lifted this year, but today’s report shows the flow of conflict diamonds from CAR to international markets goes on. The lengthy document comes on the eve of the Kimberley Process Review Visit to Cameroon, which evaluates the nation's implementation of internal controls that govern diamond production and trade. The authors followed Cameroonian traders who usually buy diamonds from across the river —in CAR— and then sell them to retailers in Cameroon's East region. Such diamonds, the reports says, are "self-declared" as originating in Cameroon and Kimberley Process Certificates are issued attesting to their conflict-free status, allowing for their export to international markets. 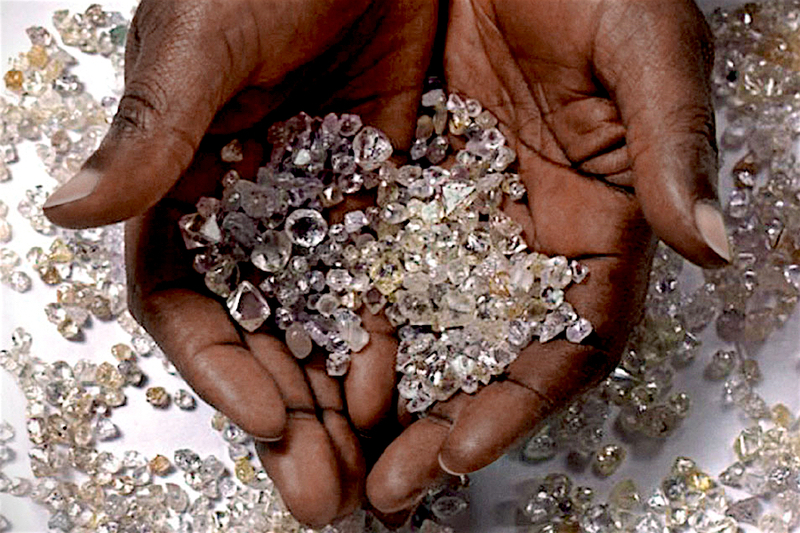 Partnership Africa Canada asked the Kimberley Process to place Cameroon under Special Measures, which would require a tightening of internal controls within a three-month period. During that time, no diamond would leave Cameroon without expert and external oversight. The group also called on a regional approach to tackle the illicit trade of CAR's conflict diamonds, bringing in other neighbours such as Democratic Republic of Congo and Angola, for a harmonized strategy. The UAE KP Chair, Ahmed Bin Sulayem, acknowledged the findings and said the organization he leads endorses the need for an ‘on-the-ground’ approach in countries that have been subject to sanctions. He also highlighted the urgent need for a Permanent UN Secretariat that can guarantee the continuity and efficiency of the Kimberley Process.